This is one of my favorite cards. The tea bag medallion for this card was made using a simple kite fold. 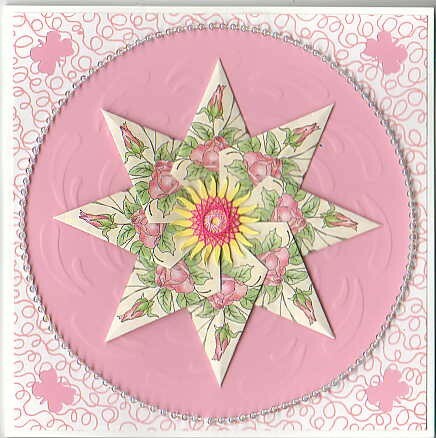 The center was made using a punched sun wrapped in pink and hot pink embroidery thread. The strand of beads is sewn on.